We are so pleased to welcome curator and producer, Yves Blais, to the Expert Judges Panel for the Jackson’s Open Painting Prize 2019. Among his many projects, Yves works at Outset Contemporary Art Fund, an international, independent art charity which works to create “unparalleled experiences for people to engage in dynamic artistic discourse”. 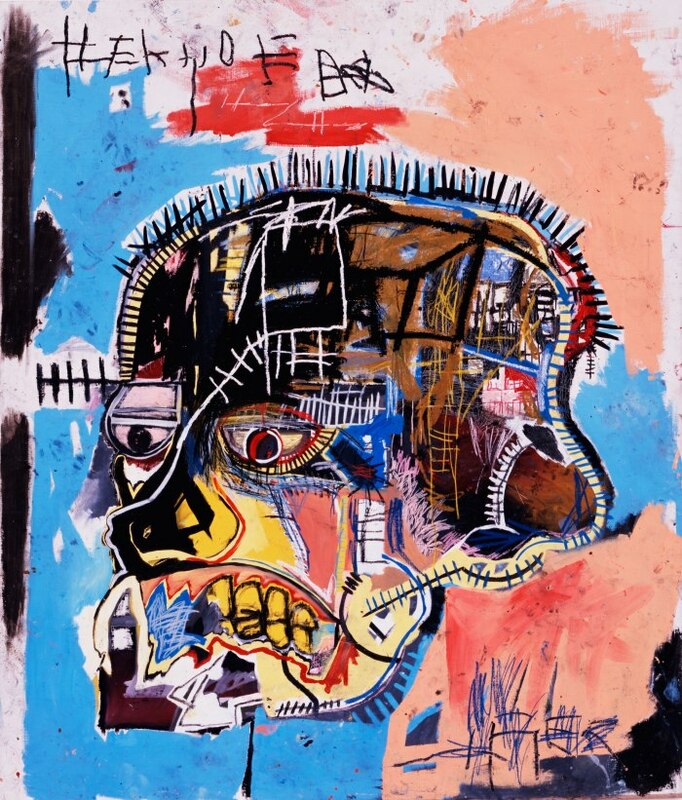 In his work, he is an enthusiastic and active supporter of the arts with a finger directly on the pulse of the contemporary art world. Yves spent some time sharing with us some of his favourite artists, exhibitions and upcoming projects, as well as providing some encouraging and unique advice for artists entering the Jackson’s Open Painting Prize this year. Clare: Can you tell us about one of your personal highlights or achievements working with Outset? Yves: I’ve been working at Outset for three years and throughout that time, we have run the Studiomakers initiative, which looks to protect and create affordable workspace for artists in London for the longer term. 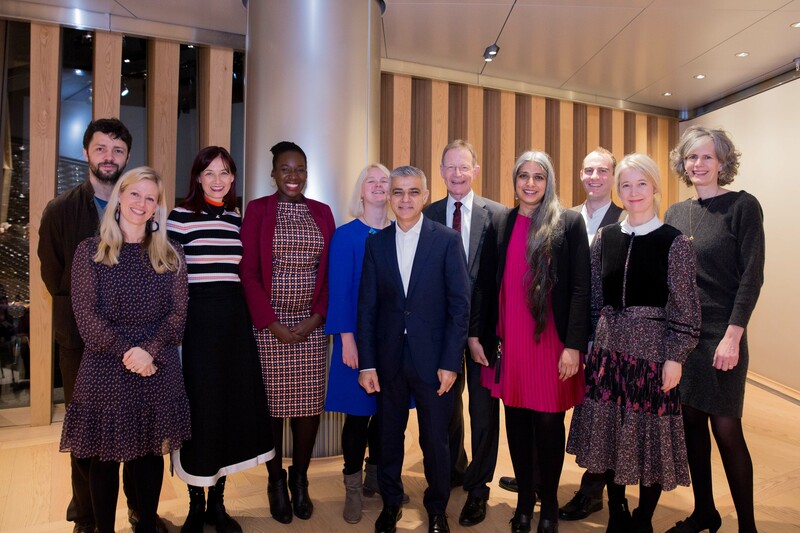 In partnership with the Mayor of London and Arts Council England we have worked to create a new independent organisation called the Creative Land Trust. Its mission is to fundraise and acquire property for artists and creatives to use as affordable workspace in London, in perpetuity. We launched the initiative in early February 2019 at partner Bloomberg’s new headquarters in the City, and we aim to acquire our first building this year. Clare: Studiomakers sounds like a very critical project. In your opinion, when was the most artist-friendly era in London to date, in terms of accessible and affordable studio space? Was there a specific time that you look upon as a touchstone for this project? Yves: London has always been an incredible melting pot, drawing in people from all different backgrounds, and making space for amazing innovation and creativity to take place, which in turn has pulled in more people and talent. As London has grown, and particularly over the last 30 years, space has become more and more in demand and therefore affordable space, more and more scarce. For London to stay the global cultural capital it is, we need to support the creative sector by underpinning the real estate that it is produced from. Clare: Apart from the issues surrounding affordable studio space, what would you say are the biggest challenges facing artists in London today? Yves: Affording a studio is just the tip of the iceberg, an artist then has to juggle a job that pays enough to keep up their practice, to live and often to support a family. Even for some of the most successful artists, it’s incredibly difficult to make a living from making art – and yet we all value it so hugely. Clare: Who are your top three favourite painters? 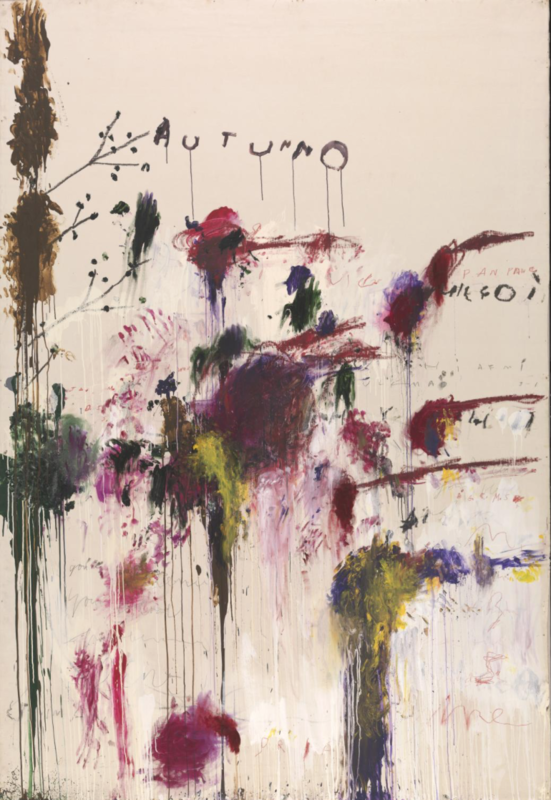 Cy Twombly – You can get lost in the fields of empty space, mark making and scrawling words. 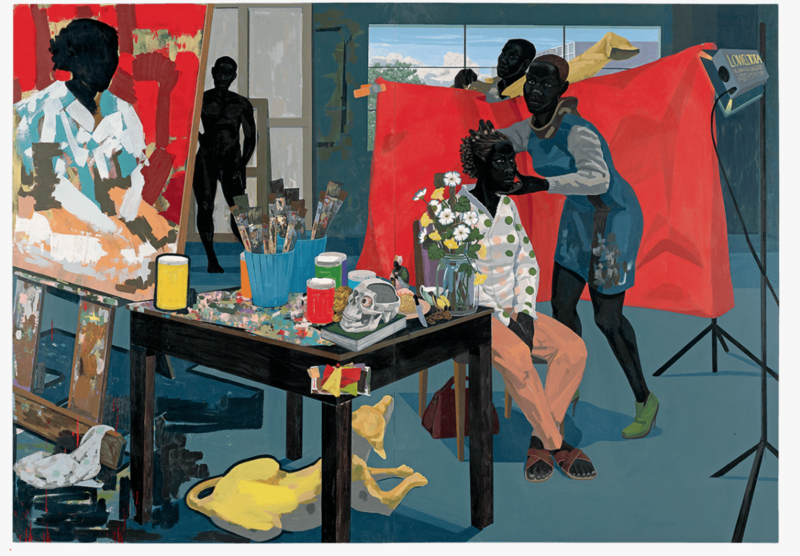 Kerry James Marshall – The everyday scenes and strong compositions always capture my imagination and hold my attention. 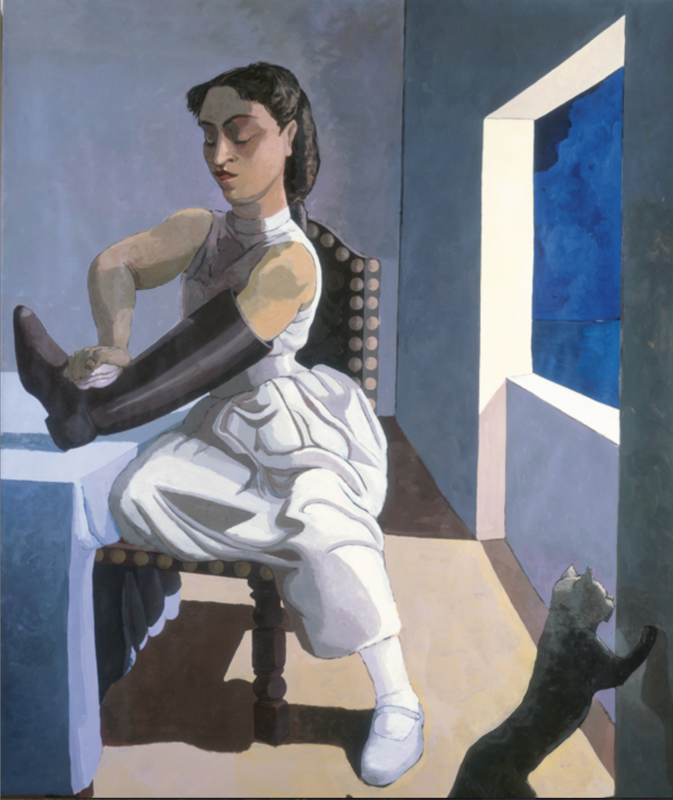 Paula Rego – There is something uncanny about her works, that always leave me questioning what’s actually going on, I like that. Clare: What were your exhibition highlights in 2018? 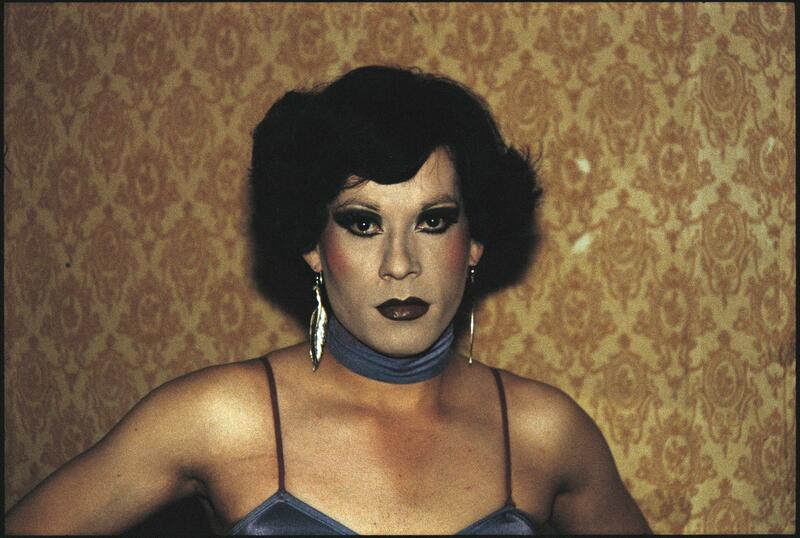 Yves: Another Kind of Life at the Barbican – A beautifully curated show that captures images of groups of people who work or live or are seen to work or live on the margins of society. Jean-Michel Basquiat, Fondation Louis Vuitton – An exquisite assemblage and range of paintings from across Basquiat’s career. Rachel Maclean, Zabludowicz Collection – Maclean’s films voice some of the salient issues in our society today, with witty pop culture references and brilliant humour. 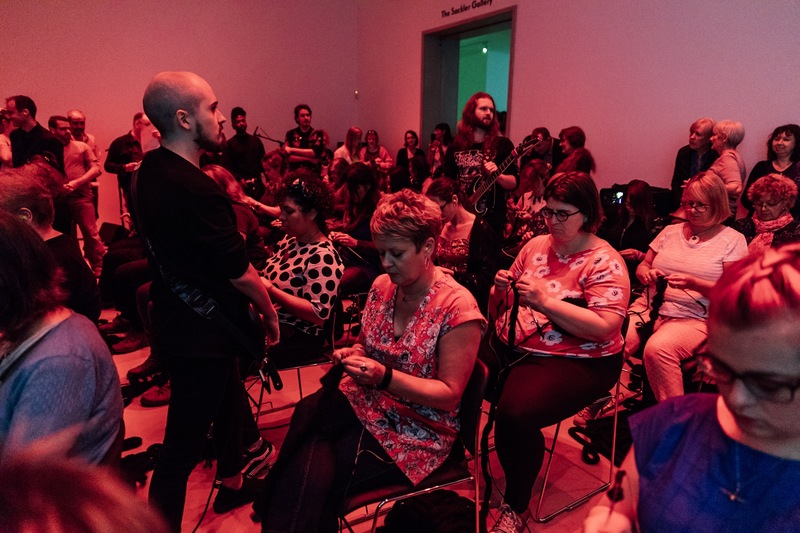 Oreet Ashery Passing Through Metal, fig-futures at Kettle’s Yard – Performance and sound installation exhibition featuring performances by Death Metal band Anoxide, and 40 knitters, exploring ideas around mortality, legacy and purpose. 2018 performance, fig-futures, week 6:16 at Kettle’s Yard, University of Cambridge. Clare: What are you looking forward to in the new 2019 art-wise? Can you recommend any artists to look out for? Yves: In 2019, I’m looking forward to the Kader Attia exhibition at the Hayward Gallery, Cathy Wilkes at the British Pavilion at this year’s Venice Biennale and Olafur Eliasson at Tate Modern. At Outset, I coordinate a prize that is now moving into its third year. The Tiffany & Co. x Outset Studiomakers Prize provides a rent-free studio and shared project space for one year to seven graduates from some of the top art colleges in London. Our 2018 award winners are a brilliantly talented bunch, including: James Fuller (Royal College of Arts, MA Sculpture), Mark Cornfield-Moore (Royal Academy Schools, Postgraduate Fine Art), Miriam Naeh (Goldsmiths University, MA Fine Arts), Neung Wi Kim (Central St Martins, MA Design), Roy Efrat (Royal College of Arts, MA Painting), Sofia Mitsola (Slade School of Fine Art, MA Fine Art) and Yasmine Robinson (Chelsea College of Arts, MA Fine Arts). 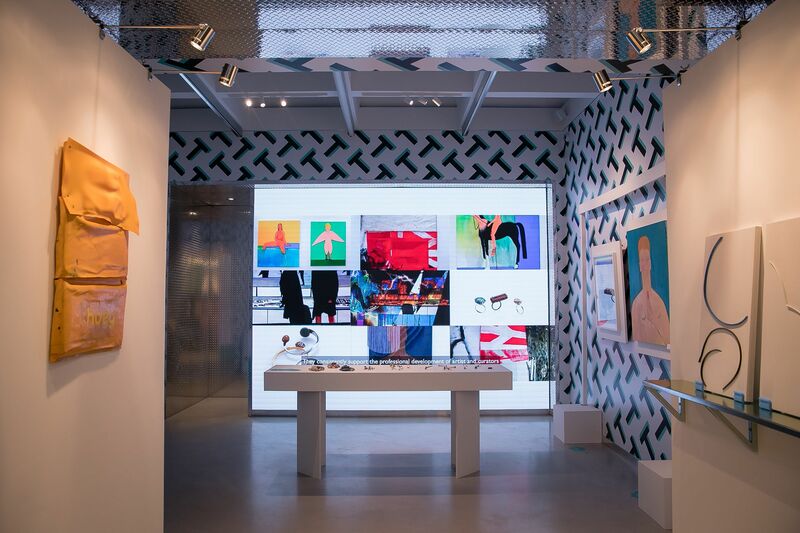 Tiffany & Co. x Outset Studiomakers Prize 2018 exhibition at Tiffany & Co. concept store, Covent Garden. Yves: With quickly waning funding support from the public sector, it’s harder than ever to be an artist. Awards like this are important to get your name out there, and a bit like applying for a job, just going through the process gives space to focus on what it is you are doing, why you are doing it and who you are doing it for. Clare: Do you have any advice for artists out there who are thinking about entering this competition? Yves: As with the practice of making art, make it for you and listen to your intuition as it usually knows best. Yves: Something that opens my mind differently, telling a story or creating a space to think. Clare: What are you working on at the moment and where can we see your latest project online? Yves: I curate a programme called fig-futures. It’s a series of 16 one-week long exhibitions across 4 venues around the UK. fig-futures takes its form from fig-2, 50 projects in 50 weeks, that took place at the ICA Studio, London in 2015. Each week, another exhibition is presented, by a different artist, working across all different mediums and disciplines. I was Assistant Curator at fig-2 and was so pleased to be able to extend the programme, by bringing 16 of the fig-2 alumni artists to the 4 UK venues, to put on new week-long exhibitions. In 2018 the venues included Grundy Art Gallery, Blackpool, Kettle’s Yard, University of Cambridge and The Gallery, De Montfort University Leicester. The fourth and final leg of the programme will take place at KARST in partnership with The Box, Plymouth from 4 – 30 March 2019. Four consecutive week-long exhibitions will take place by Suzanne Treister, Eva Grubinger, Charlotte Moth and Laura Eldret. If you are in Plymouth, please join us at KARST! And, with support from Art Fund, Arts Council England and Outset Contemporary Art Fund, artworks by artists from each week will be acquired for the nation into respective collections at each venue.